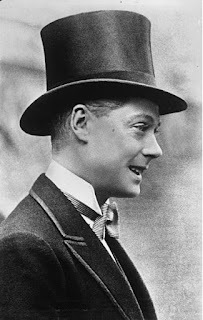 On 10th December 1936 the shortest reign by a British monarch in modern times came to an end when King Edward VIII abdicated the throne in favour of his younger brother, who reigned as King George VI. The events surrounding the abdication have been debated ever since, with opinion still being divided over whether Edward did the right thing. Was his placing of “the woman I love” above the duties of kingship an act of selfless (and romantic) devotion, or a betrayal of his country and an example of gross dereliction of duty? The facts were clear enough. Edward had come to the throne on 20th January 1936 on the death of King George V. He was already infatuated with a woman he had met at a house party in Leicestershire in 1931. This was Wallis Simpson, an American who had been divorced once before and whose second marriage was on the skids. She became Edward’s mistress and the couple were often seen together during the following years. It was made clear to Edward that Wallis was far from suitable as a potential queen, mainly because of her marital status. As king, Edward would be the head of the Church of England, and the Church did not sanction the remarriage of divorced people. There was also the very real possibility that the British people would not accept an American divorcée as queen and that embarrassing scenes would result whenever the pair appeared in public. Edward therefore had no choice but to abdicate. On 10th December he made a final broadcast from Windsor Castle then travelled to Portsmouth where a Royal Navy ship was waiting to take him to France where Wallis Simpson was waiting for him. They married in 1937 when Wallis’s second divorce became final, and lived together, mainly in France, as the Duke and Duchess of Windsor. They were largely shunned by the royal family, who did their best to forget all about the Windsors. Queen Elizabeth, the wife of King George, was particularly bitter about the burden that Edward had laid on his brother, who had never imagined that he would be king and was in several ways unsuited to the role. Elizabeth always blamed Edward for George’s early death in 1952 at the age of only 56. Another interesting aspect of the affair is that Wallis Simpson was not the driving force behind the abdication, as some have assumed. She would have accepted the situation if Edward had ditched her and retained the throne, because the infatuation in the relationship was much more on Edward’s part than on hers. She had been through two failed marriages and plenty of other relationships, and would not have been destroyed had the same thing happened again. The assumption that she was determined to be queen is not sustainable, especially as it soon became obvious to her that this could never be. The blame for the abdication surely falls squarely on the shoulders of Edward himself.